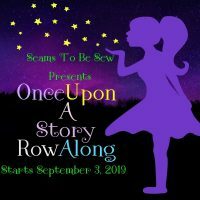 We’re celebrating “National Quilting Day” today, along with our friend Marian from Seams to be Sew, and several other participating bloggers. Whether you’re new to quilting or a seasoned quilter, you’re probably qwazy about quilting too! 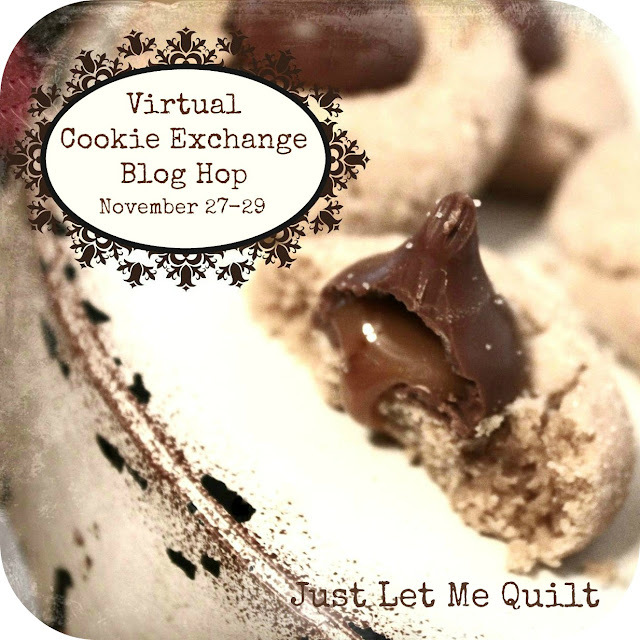 Thanks, Marian, for hosting this fun blog hop. 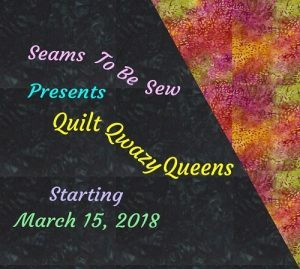 We’re looking forward to seeing all of the “qwazy quilting” projects again this year. Wow! Let that sink in for a minute or two. I think that we, as quilters, are nailed dead to rights on most of these possible definitions! My logic is flawed when I see that perfect piece of fabric; I simply MUST have it. I never apply reason as to why I want it or even what use I have for the fabric that I am crazy about. I don’t ponder where I will place this new purchase in my studio, or even consider which other fabrics in my stash will coordinate with it. I guess that makes me impractical or erratic. As a quilter, I am out of the ordinary. So unique that I see quilt pattern ideas rather than just flooring in the tile work while visiting the lady’s room stall in my favorite restaurant or almost anywhere. Raise your hand if you do this too. Yup, I do get distracted with desire or excitement when I have all the pieces for that newest creation. I don’t want to work on anything else, I just want to have fun with my new fabric. Absurdly infatuated? I want more than life itself to “spend time” with my new fabric. I want to fondle it, love it and then CUT it! Wait what? My qwazy project is a king-sized quilt for our bed! I decided that 15″ blocks would be about the right size and I love, love, love the Kansas Troubles fabrics and color ways. I decided that I need 25 blocks plus 24 offset blocks to make the entire quilt. The offset block that I chose was Wild Goose Chase, set straight and not on the diagonal as you would normally see it. I’d love to show you more of my blocks (there are four more block designs, five of each), but suffice it to say that I am qwazily working on them to get the quilt together. I have all of the blocks finished and about half of the offset blocks are finished, but I still have lots of flying geese to create. This is one of my 2019 goals, so I am really hoping to pull it all together and have it on our bed by the end of the year. I’ll post updates as the year progresses, so check back again in a few months to see more of my qwazy project. If you truly want to know how qwazy I am, bear in mind that while I am working on this project, I have around 16 additional projects, both large and small, in progress for our design business. We have lots of new designs and plenty more qwazy ideas that will last us well into 2020! Since we’re on the topic of being qwazy, let’s listen to Patsy Cline. She really had an amazing voice! Do you think my pieces of unused fabric would dedicate this song to me? Here’s to all of you and your passion for quilting! Feel free to be a little bit qwazy like me! Don’t forget to visit the rest of the participating blogs during the hop, and register to win a prize! Giveaway time! Two $35 value gift certificates have been generously provided by The Fat Quarter Shop. Entries begin on March 15, 2019 and end on March 20, 2019. Winners will be announced on March 21, 2019. See complete giveaway guidelines and rules here. Previous Post All Aboard the Circus Train! Fun post – Made me smile – Thanks!! You are qwazy busy! I’m sure your quilt will be wonderful when complete; it’s already well on its way! Great article, I guess that all quilters are crazy. We take fabric, cut it up than sew it back together . Your quilt is beautiful. I love your Wild Goose Chase block. Thank you. Great circling geese block & add that you are also funny. Loved the Patsy Kline “Crazy” memory song. I love your circling geese block! Thanks for sharing! This is a wonderful post. Thanks for sharing the video. I remember my parents watching this. LOL. And thank you for sharing the Crazy definitions. I like that I am a Qwazy Quilt Queen along with everyone else. Thanks for sharing this post. I enjoyed it so much. Maybe because I found myself nodding affirmatively to your definition responses. Your quilt blocks look so stunning. A great quilt in the making. You made me laugh. Life can get so busy. So nice to hear Patsy Cline …I loved her songs/voice. Oh, wait … quilting!! I love the elephant and the train and ………. Is it to late to join the BOM and tag along on an elephant ride? Oh, and I truly that pillow … Spring has finally arrived .. sort of … but that pillow needs to be in my house. I enjoyed reading your post. You had me smiling with those crazy quotes! Yep, I qualify as Qwazy too!! Love your circle of geese!!! Fun post. I enjoyed reading those quotes. I like your wild goose chase too. I resemble way too many of those definitions! LOL Thanks for a fun read. Sounds like you are very busy. Good luck with all the projects. Many thanks for identifying crazy! Fun read … explains me. Love flying geese – keep at it! Great post, my chuckle for the day! Thanks! What a fun post, who knew that the word crazy would definite quilters so well. 🙂 Definitely gave me a good chuckle this post… Your project is also wonderful, I have a quilt myself that I started that has tons of flying geese, i should have known better, I have never finished it, the fabric shapes are scattered from here to Germany and I’ll never find them all now. 🙂 It was a quilt from a Trudy Hughes book actually. Every quilt has a story, doncha thing.. Always fun to see what you and your sister are up to tho… Thanks for participating in QQQ 2019 this year. Oh, I am so glad you posted that list! Yep, that about sums it up, doesn’t it? I love your blocks, What a neat design that’s going to be! Keep up your crazy work, it’ll all be worth it! Patsy was quite the inspiration! I have a qwazy addiction to fabric. I’m sure I have more than I can possibly ever use. I also tend to take on too many projects at once. Love it all!!!! 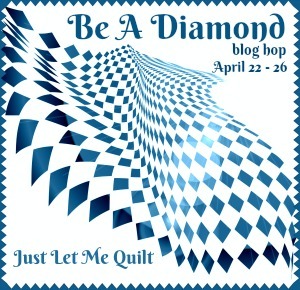 Your quilt will be stunning! I love the flying geese. Love Kansas Troubles fabrics too! Hope you make your goal! Great blocks, and quotes! Hope we get to see the finished quilt. “You can’t be old and wise, if you were never young and crazy.” (Chris Brown) What a fun quote! Wish I could say I had a little more crazy in my youth but no… I’ve saved it for old age! woo hooooo! Wow! Your quilt will be amazing! Call me a QQQ and I will own it! Love the definitions. Your list has grown to 19 overnight? Somehow that doesn’t surprise me! Love the colors you are using in your quilt. Love your list — yes, I think all quilters must be a little crazy. Fortunately, my husband accepts and loves me anyway. That is a very ambitious project. I’ve always enjoyed circling geese, I really should give them a try with quilt to fly on! 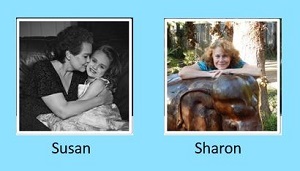 Thank you for sharing your blocks from your quilt. It’s going to be beautiful. One of my favorite songs. Your quilt will be fabulous. Why be normal? No fun in it. Awesome quilt and great post!! This is my favorite: “Be crazy, be weird, don’t be afraid of what anybody thinks!” (Anonymous) I was very shy and always wanted to please people when I was growing up. But now that I’m old(er), this is my mantra!! Love it!! That’s why I had my hair highlighted purple. Who cares what anyone else thinks? I like it!! And my DH likes it!! And I’ve had a lot of people stop me and say they love it!! Thanks for sharing!! Great words to live by! Can’t wait to see your quilt. I’m loving it so far! !